Six players from Missouri Elite F.C. 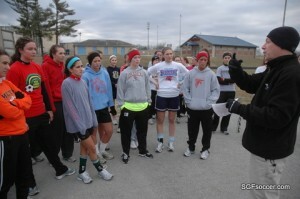 ’92 girls’ team, coached by Lindsay Paulsell, have made commitments to play college soccer this fall. All the girls have played together for seven years, some even longer, dating back to their elementary school years. Missouri Elite would like to also recognize our additional seniors graduating this year that had soccer offers but have chosen to pursue academic paths in college. Lauryn Young (Kickapoo), daughter of Larry and Debbie Young, will be attending Missouri State University and majoring in Nursing; Ashlyn Robillard (Nixa), daughter of Keri Robillard, will be attending College of the Ozarks; Stephanie Murray (New Covenant), daughter of Steve and Jo Murray, will be attending Oklahoma State University and majoring in education with emphasis in elementary special ed; Hilary Carr (Kickapoo), daughter of Greg and Sarah Carr, will be attending OTC; Taylor Jordan (Ozark), daughter of Sid and Teresa Jordan, will be attending University of Arkansas – Fort Smith and playing collegiate volleyball. Elle Aston, daughter of Brian and Angel Aston, will attend college and play soccer for Drury University in Springfield, Missouri. The Drury Panthers are NCAA Division II and compete in the Great Lakes Valley Conference. Elle is a center mid-fielder for Missouri Elite. She attended Republic High School, which does not have a high school girls’ soccer program. She is a multi-sport athlete who played varsity volleyball, basketball, and was a state qualifier in three track events her freshman year. Elle’s best soccer moment from coach Lindsay Paulsell: Elle has been our top goal scorer for years but one goal stands out in my mind. Elle collected a ball in the flank and started tearing towards the goal in a match in the TSC Showcase. As she placed the ball so beautifully in the corner pocket just past the keeper with 30 second to go, she turned to her bench, fell to her knees and gave such an amazing shout of accomplishment. It was a real Brandy Chastain moment. Ashley McWilliams, daughter of Brad and Kathy McWilliams, will also attend school and play soccer for Drury University in Springfield, Missouri. 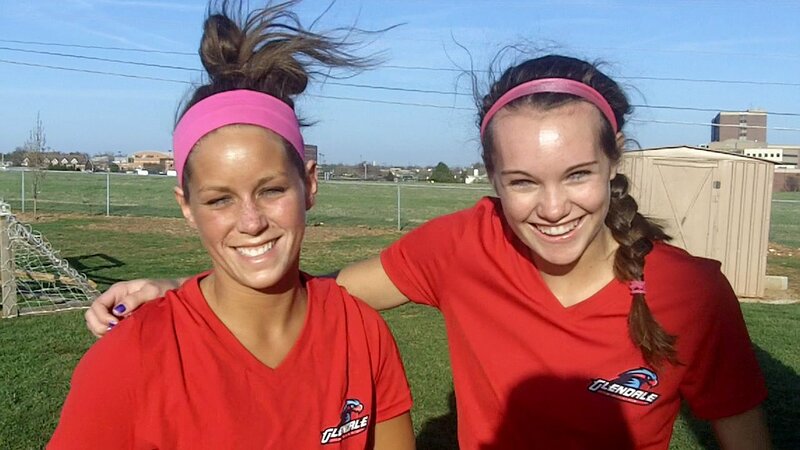 Ashley is a central defender for Missouri Elite and played for Glendale High School. During her sophomore year of high school McWilliams was recognized as the Defensive Player of the Year for Class 2 District 11 and the Southwest Region. She was also a member of the All-Region, All Conference, and All-District first teams. Ashley’s best soccer moment from coach Lindsay Paulsell: Ashley is known for her intense tackles of opposing attackers but this one tackle from a Little Rock showcase had to be the best. The attacker got loose and was heading towards goal when Ashley hunted her down, gave an amazingly fluid tackle, came up with the ball and distributed to an Elite attacker which eventually scored. Emelie Schrier, daughter of Chris and Lori Schrier, will attend college and play soccer for Hendrix College in Conway, Arkansas. The Hendrix Warriors are NCAA Division III and compete in the Southern Collegiate Athletic Conference. Emelie is a defender for Missouri Elite and played soccer for Glendale High School. During Schrier’s Sophomore year, she earned Honorable Mention All-Academic All Conference recognition for soccer. Emelie’s best soccer moment from coach Lindsay Paulsell: Emelie is a strong back that is given the task of shutting down attackers each and every time the ball met their foot but in a match in Memphis filled with rain and mud, Emelie stepped up to the attacking plate winning a ball at midfield and taking it all the way to the goal for a score. And if that was not enough, she did it again 5 minutes later. Megan Jenisch, daughter of Andy and Monica Jenisch, will attend college and play soccer for Missouri Southern State University in Joplin, Missouri. The Missouri Southern Lions are a NCAA Division II program that competes in the Mid America Intercollegiate Athletics Association Conference. Jenisch is a central defensive back for Missouri Elite and played for the Ozark Lady Tigers. During high school she was recognized as the Defensive Player of the Year in Class 2 District 12 as a sophomore and was also honored as a member of the Southwest Region team and the Springfield News-Leader’s All-Ozarks Girls Soccer Team in 2008. Jenisch was named as a member of the all-conference first team in the Central Ozarks Conference and the all-district second team in Class 3 District 11 as a junior. Megan’s best soccer moment from coach Lindsay Paulsell: Megan, known to us as Jenisch, is a force to be reckoned with in the back. She is probably one of the most consistent players I have ever coached so it is difficult to pick just one moment. Therefore, I am going to go with my favorite quote; Being one I can always count on, there comes a time when she miss hits the ball sailing it out of bounds and then I get the silly look from her and a “My bad”. It cracks me up every time! Megan Gunnels, daughter of Mike and Laura Gunnels, will attend college and play soccer for Westminster College in Fulton, Missouri. The Westminster Blue Jays are a NCAA Division III program that competes in the St. Louis Intercollegiate Athletic Conference. 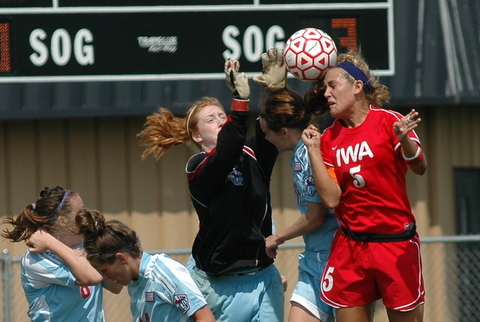 Gunnels is a forward for Missouri Elite and played for the Ozark Lady Tigers. During high school she was recognized as a member of the all-district first team for Class 2 District 12 as a freshman and as a sophomore. She also received honorable mention honors in the Southwest Region as a sophomore. Gunnels was named as a member of the all-conference first team in the Central Ozarks Conference and the all-district second team in Class 3 District 11 as a junior. Megan’s best soccer moment from coach Lindsay Paulsell: Megan has been our top playmaker for as long as I have coached the team. She is constantly making plays that make me gasp but one stands out in my mind. It was our first State Cup experience and again, it was a big mudfest. Megan collected a ball in the attacking third and placed a brilliant shot in the upper corner. It was just the spark we needed to get going. Alysan Burgbacher, daughter of Shawn and Karla Burgbacher, will attend college and play soccer for John Brown University in Siloam Springs, Arkansas. The John Brown Golden Eagles are a NAIA program currently ranked #23 in the nation and play in the Sooner Athletic Conference. Alysan is the Missouri Elite goalkeeper and went to New Covenant Academy, which does not have a girls’ team. Her senior year, Burgbacher played as a defender for the varsity boys’ soccer team at New Covenant. Alysan also coaches the Missouri Elite 2000 girls’ team and was named the Missouri Youth Female Referee of the Year in 2009. Alysan’s best soccer moment from coach Lindsay Paulsell: This was an easy one for me. We were 4 days away from a huge showcase tournament and our goalkeeper backed out. Rather than scramble for a guest player, Alysan offered to step up and play keeper for the weekend. She was incredible in the net using her vocals as a field player to direct traffic and her keen sense of reading plays to save goal after goal. It was one of the most amazing weekends as a coach to see a true leader emerge. She has been the Elite keeper ever since that weekend. Drury women’s soccer coach Alf Bilbao has announced an 11-member recruiting class to join the Panthers’ program for the first time this fall. *Lindsey Sprouse, 5’8 forward, Glendale High School (Springfield, MO): Lindsey was named her squad’s best offensive player from 2007-09, earning First Team All-Ozark Conference and First Team All-District honors all three seasons and picking up Second Team All-State accolades last year, when she was also named the Offensive Player of the Year for the southwest region. She’s a member of the Springfield Soccer Club. *Ashley McWilliams, 5’5 defender, Glendale High School (Springfield, MO): Ashley missed the 2009 campaign due to injury, but as a sophomore, was named First Team All-Ozark Conference, All-District, All-Region and was also selected as the Defensive Player of the Year for the Southwest Region. She’s a member of the Missouri Elilte Soccer Club. *Elle Aston, 5’8 midfielder, Republic High School (Republic, MO): Elle, a three-sport standout at Republic (basketball, volleyball and track), which does not offer prep soccer, was honored as a Southwest Missouri Soccer All-Star and is a member of the Missouri Elite Soccer Club. *Brittany White, 5’8 defender, St. Dominic High School (O’Fallon, MO): Brittany was an Honorable Mention All-Conference selection last season and plays for the Lou Fusz Strikers – Mannion club team. *McKenna Feltes, 5’9 defender, Cedar Rapids Kennedy High School (Cedar Rapids, IA): McKenna helped her squad to state runner-up finishes in both 2007 and ’08 and a state championship in 2009. She’s a member of the Eastern Iowa United Soccer Club. *Jennifer Rogers, 5’6 forward/midfielder, Lee’s Summit Community Christian (Lee’s Summit, MO): Jennifer was her team’s captain and a First Team All-District choice who set her school’s record for goals and assists. She plays for the KCFC Freedom club team. *Elle Kekec, 5’5 defender, Ladue High School (St. Louis, MO):Elle was a Third Team All-State choice and was named the Defensive Player of the Year for the Suburban East Conference last spring. Her prep team’s captain, she also plays club for the Lou Fusz Strikers – Mannion. *Ashton Allcorn, 5’9 defender/midfielder, Applewood Christian High School (Cole Camp, MO): Ashton is playing prep soccer for the first time this spring as it just became an option at her high school; she also plays club for the KC Select Scream. *Kara Steiner, 5’6 midfielder, Jefferson City High School (Jefferson City, MO): Kara was the District and Central Region Co-Player of the Year as well as 3rd Team All State. She’s a member of the Columbia Pride Soccer Club. *Kinsey Shouse, 5’10 defensive midfielder, Jefferson City High School (Jefferson City, MO): Kinsey was selected to the All –District 2nd Team in 2009 and was a member of Sectional Championship team. She has been the leading scorer for the Carerra Soccer Club. *Kate King, 5’11 defender, Central High School (Ft. Worth, TX): Kate is a member of the DFW Tornados club team. Second day of Spring practice and the weather is not cooperating. Still plenty of smiles to be found as the Lady Falcon’s spent their practice taking the long view as Dr Rusty Bond was on hand with his team to provide instruction the in the PEP ACL Preventation program, designed to help female athletes avoid ACL injuries. I’ll have more information next week on this free program offered by Cox. Twelve seniors and eight juniors return this year with one goal in mind: make it to State and play in the championship game. The Lady Falcons return with a promising amount of talent. They lost only two seniors, Emily Jordan and Jeni Frewin, last year, Also, their top scorers, Lindsey Sprouse and Molly Brewer, return this season. Along with making it to State, the team has some other goals. “I really want to beat Kickapoo and Catholic,” said senior Katie Brewer. Ryan also added an article that explores the dynamics of the Brewer sisters who run the midfield for the Falcons. Check it out, great story on a very talented pair of sisters who are, well, sisters!